What is the word for when you are sixteen years old and your friend goes missing from school for a week unexplained and you don’t want to call his home phone because said friend’s Mum terrifies you, plus you are slightly afraid he is dead and don’t want to make things awkward? I tried looking in the dictionary for that extremely common scenario and I found nothing – stupid piece of trash. The closest I can come up with is Monster Hunter 3. 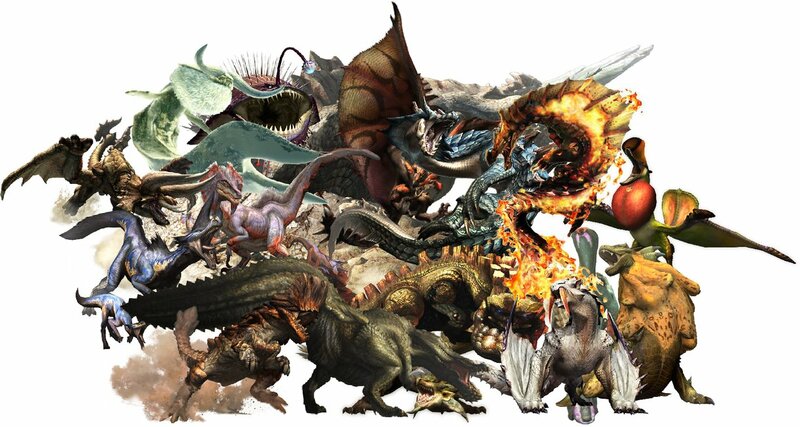 Monster Hunter is a fantasy/RPG series developed by Capcom that is hugely popular in Japan. Until about 2 hours ago that was about all I knew of it other than its ability to make me assume my closest friend dead. Taking inspiration from the idea of the week’s lecture on monster culture, I decided to delve further into this slightly less than high definition world to see what all the fuss is about. I have chosen to watch a Let’s Play series by acclaimed YouTuber GamingBliss; I don’t like him. My immediate perception of this game was: “Cool, a worse version of Dark Souls”, followed by “hey, that dinosaur is pretty cute” followed by “I wish he didn’t kill that dinosaur”. What I can gather from this video is Monster Hunter is a game largely focused on self-driven goals. The protagonist, some sort of emotionless village protector, seeks errands from the village people who always have slightly too much to say. These errands usually (perhaps always?) involve slaughtering a monster in a nearby area and gathering its remains, I guess as proof of the kill. Monster Hunter’s strong focus on enemy design, as well as the enormous scope and scale of the game are what I would immediately attribute its success to. Surely there must be more reasons, right? Nakamura attributes the culture of Japan and its imperial origins creating a “need to fit into a community” to the huge success of Monster Hunter (Nakamura, 2013). What I find interesting in this hypothesis is that it is not a direct feature of the game which draws the appeal of an audience, rather the sociability of it in which its features cater towards. As I know very little about sociability in gaming in an eastern context, I think it would be interesting to explore this further in contrast to western gaming audiences and our need for community (if any). I am still unsure if I will continue this in relation to Monster Hunter. Hey Matt, I have a suggestion for you. You know how Pokemon exploded across Japan and the West, and how it was originally a game and then an anime was made about it. Well there’s a brand new anime and game which is taking Japan by storm called Yokai Watch. Perhaps you can look into the game and perhaps look at the conventions within the marketing of the product which is either original, or which reflects other massive product lines like Pokemon and Dragonball. It certainly is something that appeals to Otaku’s as the game is about capturing and collecting monsters, (like pokemon) – catering to the Otaku desire to collect! I believe it also has effective social features within the game which boost the popularity. I’ve never played Monster Hunter despite people classing it in the same categories as other well-know RPGs. MH seems to be so popular though that it’s spawned its own genre. I’m interesting in the multiplayer aspect you discussed though. Usually I find these types of games to be a very personal experience so I’d really like to see a game in this genre where sociability is one of its main features. Hi Matt, I like the concept of combining Japanese monster culture and gaming together into one, can’t say i’d heard of Monster Hunter before your article, but it looks like an… interesting game, definitely spot on with that Dark Souls comment. 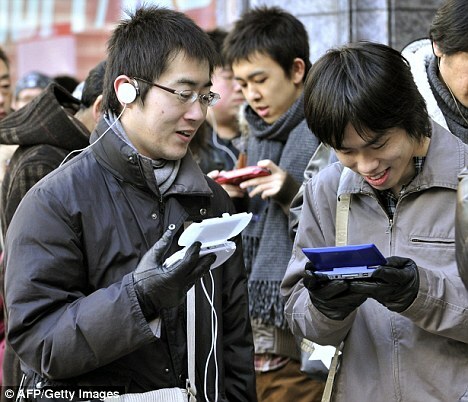 I know Nintendo, especially its portable gaming range, is very popular in Japan, so it will be interesting to see how different the sociability of Japanese culture will be to its western counterpart. Best of luck! “emotionless village protector” seems spot on. I’ve played some killing games before but for some reason this game made me cringe – or maybe it was the annoying voice over..but still, poor dinosaurs. The social aspects you mentioned really intrigued me as well, I have generally considered gaming as a social activity mainly because I always see people playing together with games like FIFA or various RPG’s, but in saying that there are internal aspects to these games which attract people, it is not soley social.